Digital UK has warned that squeezing more than 100 TV and radio channels into significantly fewer frequencies from the end of the decade "poses technical challenges and could affect coverage in some areas." The warning comes ahead of this year's World Radio Conference (WRC), to held in November, which is highly likely to require a third of frequencies currently used for Freeview to be given up for mobile broadband services. Digital UK, as platform manager for digital terrestrial television, has been making the case to ensure this is the last transfer of frequencies from TV to mobile network usage. Freeview viewers will need retune their sets around the year 2020, and Ofcom estimates around 100,000 households will need new TV aerials. £600 million has been set aside by the Government in the most recent Budget to pay for the technical work and consumer support. According a blog post by Jon Steel, Communications Director at Digital UK, there is less certainty about the long-term future of the frequencies still left over for TV services. "The WRC could decide to change the designation of these frequencies from primarily for broadcasting to ‘co-primary’, allowing them to be used for either television or mobile services. "Those in favour of making this change make the case for ‘flexibility’ and highlighted the economic returns associated with mobile sector. These arguments ignore the risk that such a move could signal the beginning of the end of terrestrial broadcasting and undermine the case for investment at precisely the time when innovation in HD and connected services like Freeview Play are needed. "It also assumes the predictions of continuing exponential growth in demand for mobile data are accurate, despite enormous variations in the figures produced. Detailed analysis of the ITU modelling used to inform WRC decisions has found that some of the inputs appear hugely inflated – in some cases by up to 500 times what might be expected." Digital UK has historically pointed out that a lot of mobile data traffic is offloaded from traditional mobile networks to wi-fi networks. 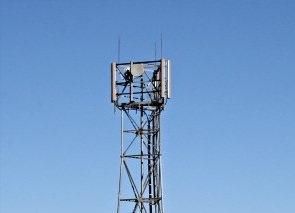 Higher frequencies, not used for TV, are more suited for mobile data high usage hotspots within major urban areas, whereas lower frequencies, either previously used or still used for TV, are more suited to low capacity, high coverage areas, such as to cover remote rural areas with 4G mobile internet. Mobile network operators haven't yet widely utilised the first batch of frequencies in the 800 MHz frequency band in rural areas yet, but are likely to receive further suitable frequencies in the 700 MHz band from Freeview TV services for rural coverage at the turn of the decade. Digital UK and others want to ensure that further frequencies aren't surrendered. "At the European level, a similar view has been reached with the Commission’s advisory group recommending safeguarding television airwaves ‘even beyond 2030’. Many European member states have indicated their support for this position and met again last week to seek consensus. However, in other parts of the world, notably America, there is an appetite for weakening television’s rights to spectrum in favour of mobile technologies. "While Digital UK and our broadcaster partners have been vocal in making the case for spectrum policies to support a strong Freeview platform, this has not been a Canute-like attempt to deny the growing importance of mobile technologies and the potential for IP delivery of television. Rather it’s based on clear evidence that viewers remain overwhelmingly wedded to the new generation of bigger, smarter TVs as the best device for watching programmes, and that it will be many, many years before our broadband infrastructure can deliver a Freeview-like service to every home." In 2020 they should close down all but the public service multiplex. If Freeview start phasing out the selling of non-connected boxes now, forcing a majority of new sales to be Freeview Play that would speed things up. YouView already have a reasonable number of subscribers, perhaps if they offered a "free" version that streamed all of the 'freeview' channels, plus perhaps some of the FTA satellite channels, where you can access the on-demand players with the option of subscribing to Netflix or Now TV etc, that would also speed up up-take. Five years is a long time, I would expect BT to have rolled out high-speed internet to a significant majority of households by then. If the Americans want less TV frequencies then they can have it, as long as they don't force it on everyone else. The UK and Europe are far enough away that what America do shouldn't need to affect us. I know that phone handset manufacturers would need to make them flexible on which frequencies are used where, but that could be done in software rather than in hardware, as handsets already have a very wideband aerial in.